Spanish wine Archives - Write for Wine: It's Wine O'Clock Somewhere!Write for Wine: It's Wine O'Clock Somewhere! With the warm spring days easing into summer heat, an array of white wines have caught our fancy lately. These are all super summer sippers to pair with your patio or deck — or perhaps when serving fish, crab, scallops, oysters, shrimp, prawns, sushi or a tasty summer salad. 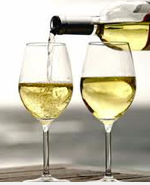 Our palates prefer Sauvignon Blanc and Pinot Gris/Grigio, but there are many other choices are out there to try. 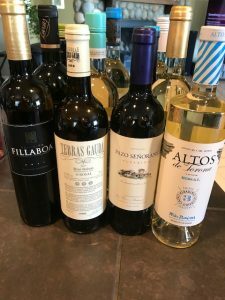 We recently tasted the refreshing citrusy Albariño and the dry floral Viura, and were wowed!